Pay Attention Please!!! Dear Russian Friends: Please fill in the receiver’s full name in three words when placing the order. Thanks for your cooperation. 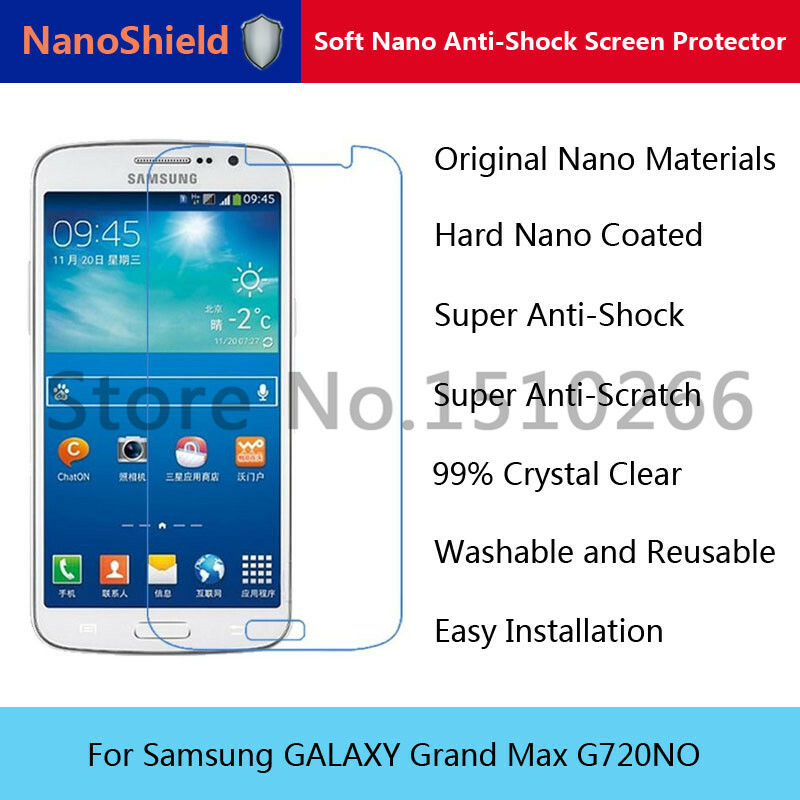 NanoShield Soft Nano Explosion-Proof Scratch Proof Anti-Shock Screen Protector For Samsung GALAXY Grand Max G720NO With Retail Packaging Product Features: 1) NanoShield Materials. 2) Super anti shock and anti scratch. 3) Super flexible and can be repeated installation. 4) Environmental and No Harm. 5) It is not like glass films that is easily broken and cracked,and easily hurt our fingers. Dear friend this is a common description about the Soft Nano Anti-Shock Screen Protector , a right model screen protector will be sent out after you pay the order. Thanks for your unstanding!